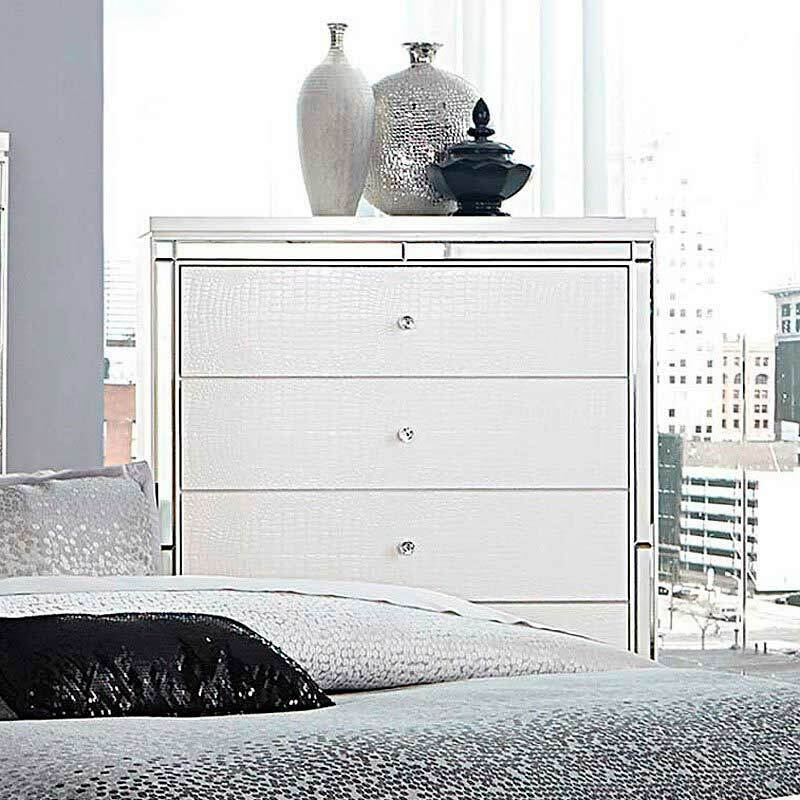 Adding a bold touch of glamour to your boudoir is the Alvina Collection. 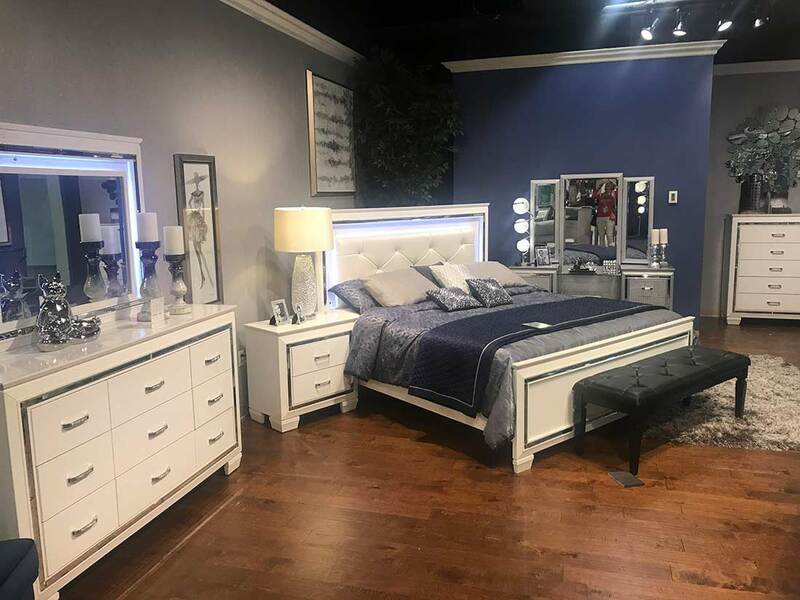 Finished in a brilliant white, the embossed alligator board is reflected in the inlay mirrors of the bed and case pieces. 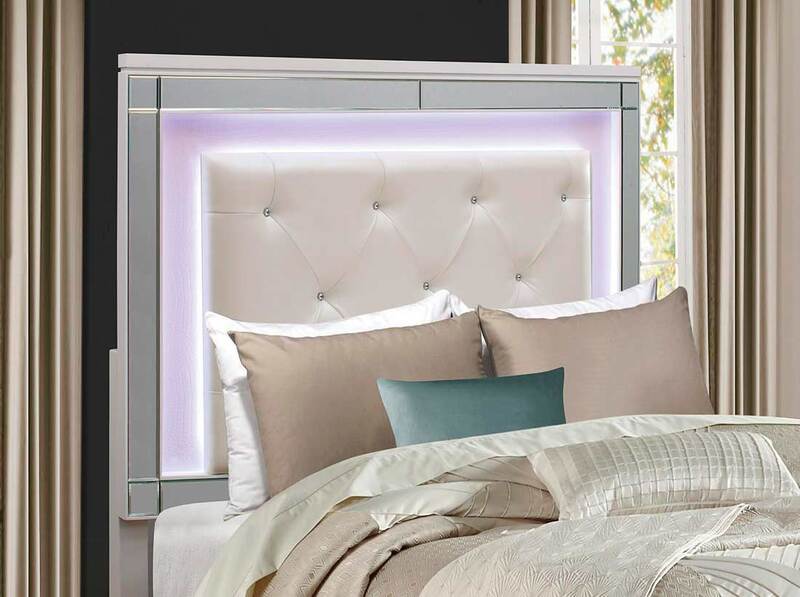 The newly available back-lit LED headboard and mirror illuminate with a delicate touch, creating a dazzling glow. 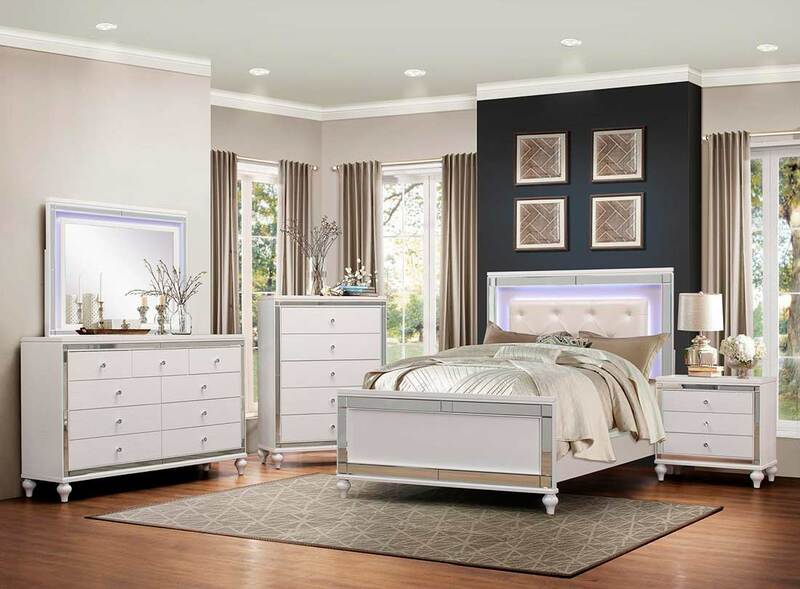 Turned feet provide a distinct departure from the linear design of the collection, adding a distinctly feminine flair. 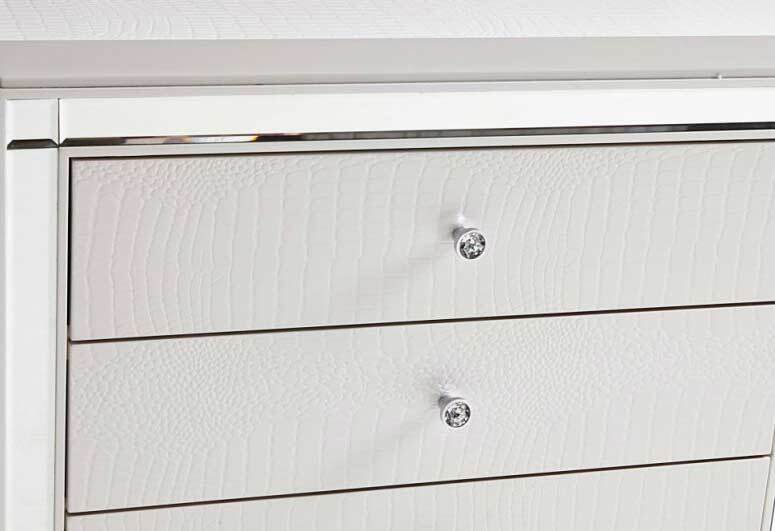 Drawer pulls add to the allure of the collection with an inlay crystal and chrome look.